The 2015 Kamloops Film Festival runs March 5 to 14. Check back each week for more reviews. How would you react if you were told that from this day forward, you would begin to forget everything you once knew about your life? That your friends and family would become strangers, your hometown an unfamiliar place and your career a completely foreign subject? For New York City-based linguistics professor Dr. Alice Howland (Julianne Moore), the unthinkable becomes a re­ality. 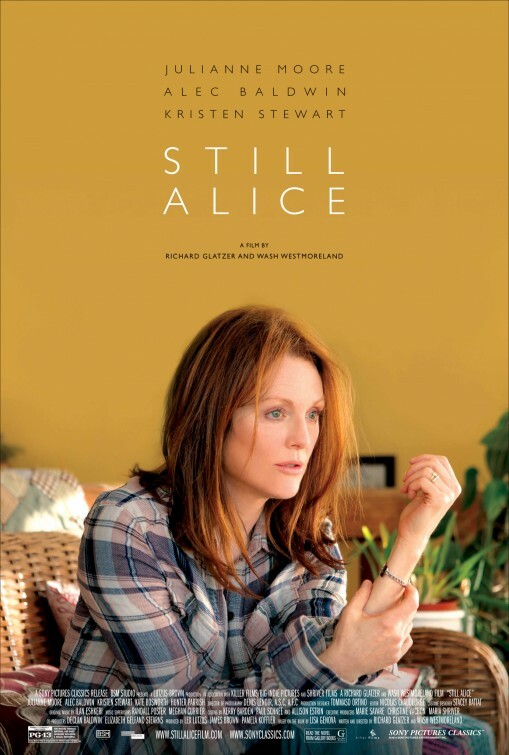 Still Alice follows Howland as she is diagnosed with ear­ly-onset Alzheimer’s at 50, and the struggle to overcome in­credible amounts of adversity to keep a level head. Howland is a strong, spirited and intelligent woman with a successful job and family, which is all put on hold while she faces the biggest battle of her life head-on. For Moore, it had to have been a tough role to play, but she played it well. With a plotline so focused on what’s going on inside How­land’s brain, her face managed to mimic every intricate men­tal change, making it easier for the audience to empathize with the character. It’s been said that actions speak louder than words, and this is clear with each of Moore’s furrowed brows, lip trembles and blank stares. Howland’s family played a large role in outlining how her situation affected everyone around her. Howland’s husband John (Alec Baldwin) watches her decline 24/7, and must make some gut-wrenching decisions to keep his family’s head above water. Her eldest daughter Anna (Kate Bosworth), a bullheaded mother-to-be, is undoubtedly the most per­turbed by her mother’s condition. From the start of the film to the end there is a visible shift in which Anna begins to crumble under the weight of her mother’s disease. Only son Tom (Hunter Parrish) is the least significant role, keeping quiet for most of the movie. Youngest daughter Lydia (Kris­ten Stewart) starts off as the black sheep of the family, but ultimately ends up as the glue that holds their world together. The movie follows a story that could be a reality for anyone, which makes it that much more emotional and un­nerving for the audience. While there were snippets of black humour throughout (usually exchanges between Howland and Lydia), in the end it was a major tearjerker. At times the plot was hard to follow with large jumps in time and only the surface of early-onset Alzheimer’s was scratched. However, by the end of the 99 minutes the audience had a clear connection with each of the characters and left feeling emotional for Howland and her family.